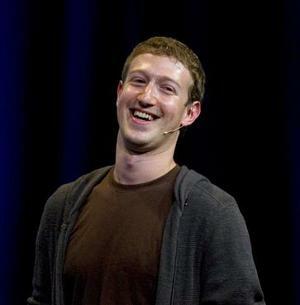 Facebook founder Mark Zuckerberg has been accused of hacking into the email accounts of rivals and journalists. The CEO of the world’s most successful social networking website was accused of at least two breaches of privacy in a series of articles run by BusinessInsider.com. As part of a two-year investigation detailing the founding of Facebook, the magazine uncovered what it claimed was evidence of the hackings in 2004. In the first instance, it said that, when Zuckerberg discovered that Harvard’s student newspaper The Crimson was planning on running an article on him in 2004, he used reporters’ Facebook logins to hack into their accounts. In the second instance, the magazine claimed Zuckerberg hacked into the accounts of rivals at Harvard who accused him of stealing their idea for a social network. He then allegedly tried to sabotage the rival network they had set up. Business Insider claimed he then told a friend how he had hacked into the accounts of Crimson staff. He allegedly told the friend that he used TheFacebook.com to search for members who said they were Crimson staff. In two instances, the magazine claimed, he succeeded – and was able to read emails between Crimson staff discussing the possibility of writing an article on the accusations surrounding him. Woman calls tech show to get help on a "wifi issue"